I wish I could ‘bottle’ my weekend and give it to you as an early Christmas gift. It was AMAZING! 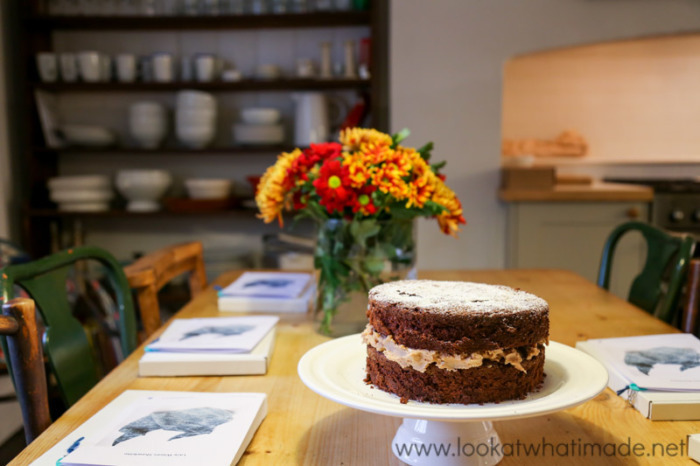 I spent 2 glorious days crocheting, chatting, and being plied with cake and food. 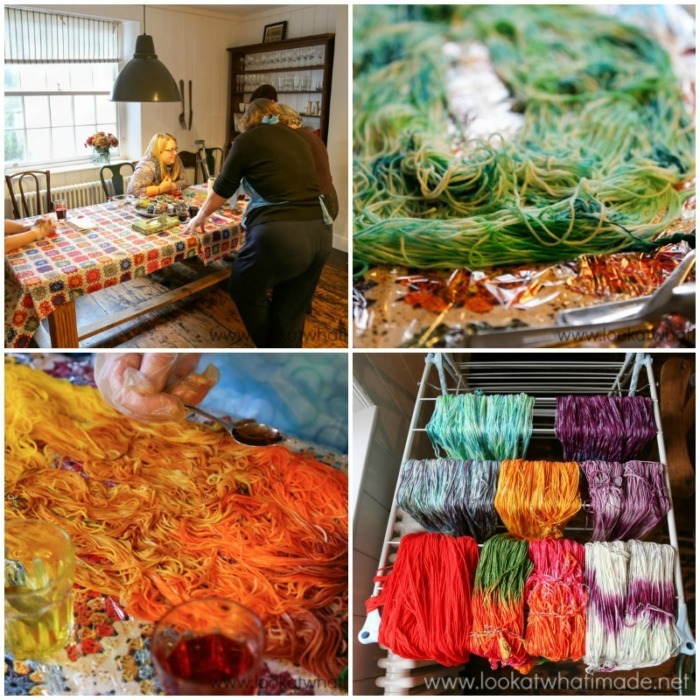 I got to meet 9 wonderful like-minded women and together we learnt how to dye our own yarn and make our own hooks. We relaxed. We laughed. We went treasure hunting. And at the end of each day we fell asleep to the sound of water rushing by underneath the house, which threw me right back to my childhood and the sound of the rivers on our family farm. Where did I experience this bliss? 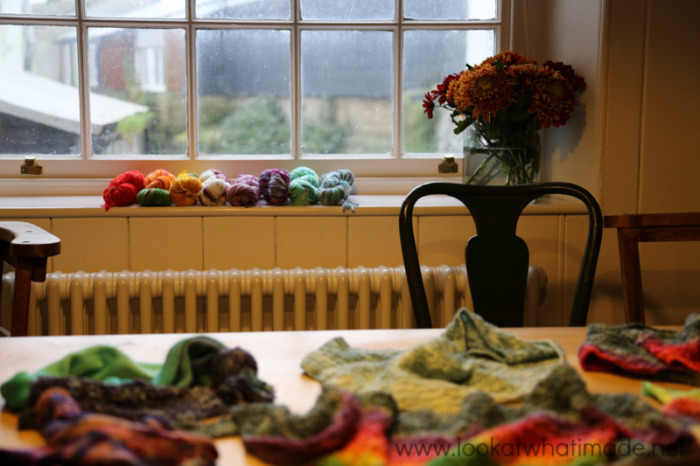 On a Yarn Retreat in Lyme Regis hosted by Daisy from Devon Sun Yarns. I really wish I was a more skilled writer, because I would love to be able to tell you about the retreat with lilting sentences and lots of clever words, but the reality is that my crochet is better than my photography, and my photography is better than my writing, so this post is going to be full of photos and short on words. 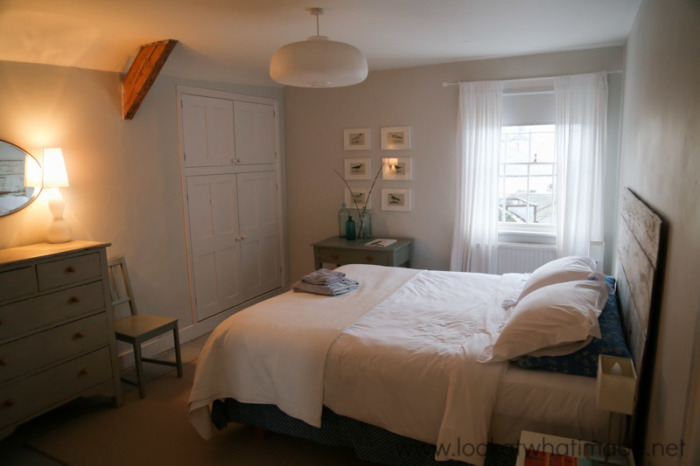 We stayed in a lovely house in Lyme Regis, about 3 minutes walk from the beach. My room was on the top floor and I LOVED it! In fact, it was so pretty that I took the opportunity to take photographs of every crochet item I had shoved into my bag for show and tell. 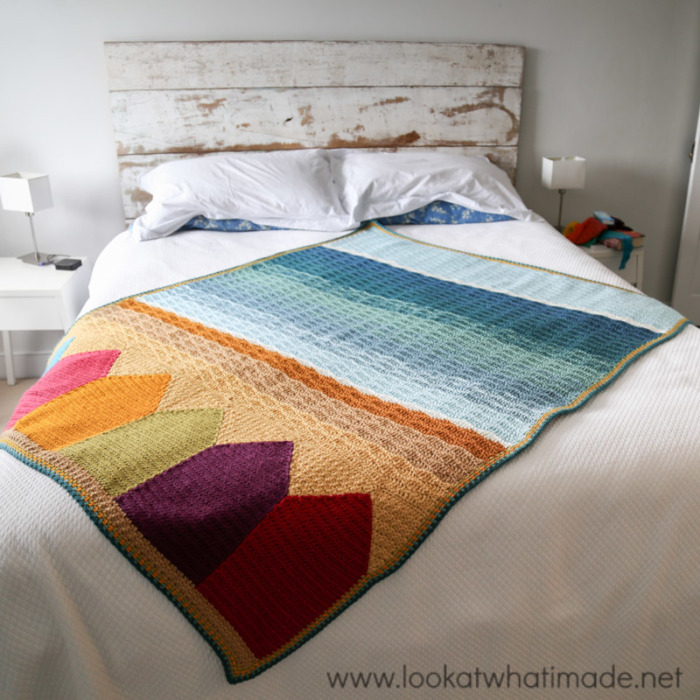 This is the Block a Week CAL blanket from last year. 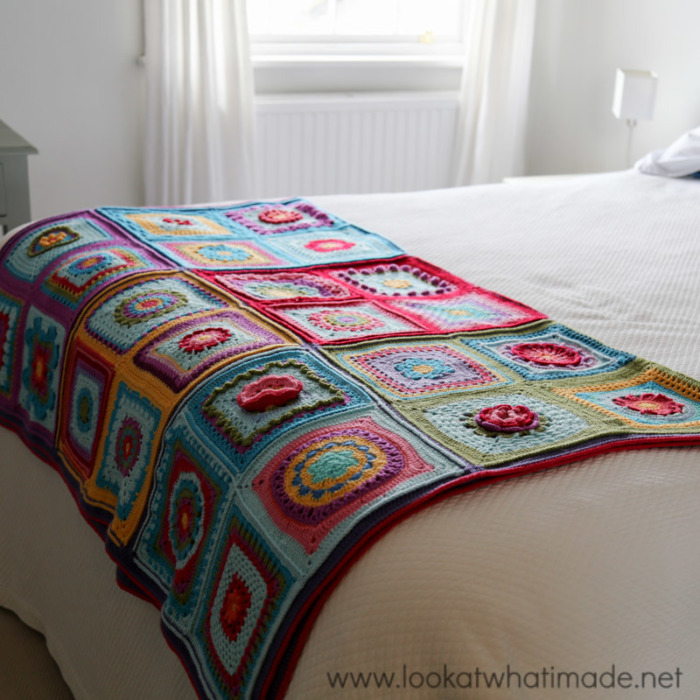 I also managed to get a passable photo of the Summer in Swanage blanket (which is a free pattern available HERE). Sophie’s Universe in Softfun and the Flower Puzzle Ball in Drops Paris Cotton. 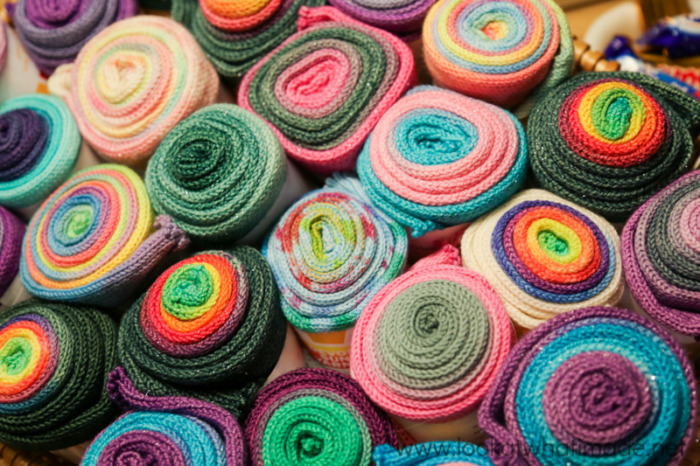 … before diving into a basket of yarn to select which colours to use for the make-along project (the pattern for which was supplied by yours truly and will be available real soon). After a light dinner, we got to sit down and crochet for a bit (before having more coffee and cake). The pattern I wrote for the retreat (a Lazy Waves Shawlette) is worked from the top down, so we had a reallllyyyy long starting chain, followed by a lot of ‘single, single, double, double’ mutterings. The first night was, therefore, understandably subdued. But on Saturday the mood picked up again with a bit of yarn-dyeing. I opted for a different feel and I am calling it ‘Spraypainted Snow Leopard’ (infinitely preferable to ‘Snow Leopard Roadkill’). After another great meal we had a hook making session hosted by the talented Beth from Koru Tumi. While we waited for the hooks to bake, we got to play with some of Beth’s other hand-made goodies. I bought a few stitch markers, my favourite of which is the beehive stitch marker. I also bought a little something for my friend Esther from It’s All in a Nutshell, who did the videos for Sophie. The rest of the day was spent crocheting and eating! I will confess that we stayed up quite late reading James Blunt’s twitter comebacks (and frogging a lot because of it)! 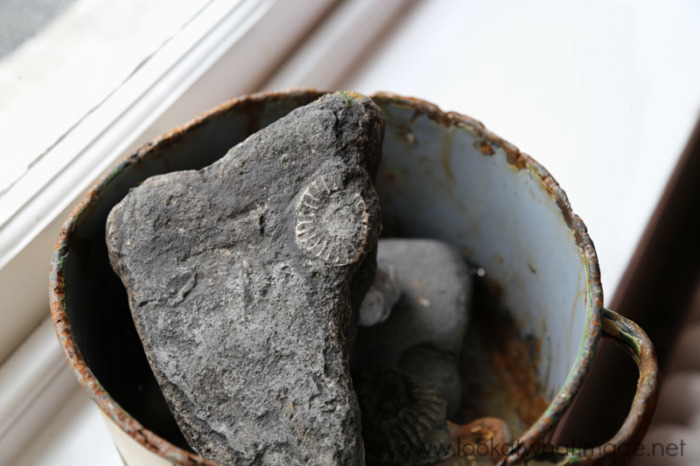 After breakfast on Sunday we went for a little bit of ‘treasure hunting’ along the Jurassic Coast. 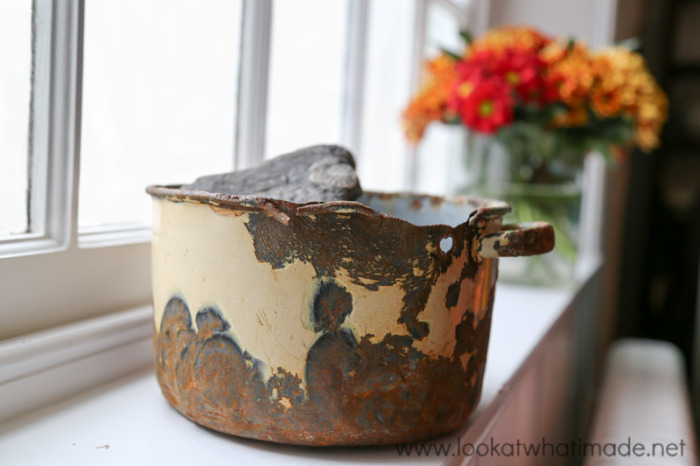 I managed to find an old Victorian enamel pot to put my (massive) stash of ammonites and glass treasures in. After lunch the yarn was dry enough to be wound into skeins. This photo is probably my favourite photo of the whole weekend. I love the homey atmosphere and lighting in it (and of course I love the yarn and the half-finished shawlettes on the table). 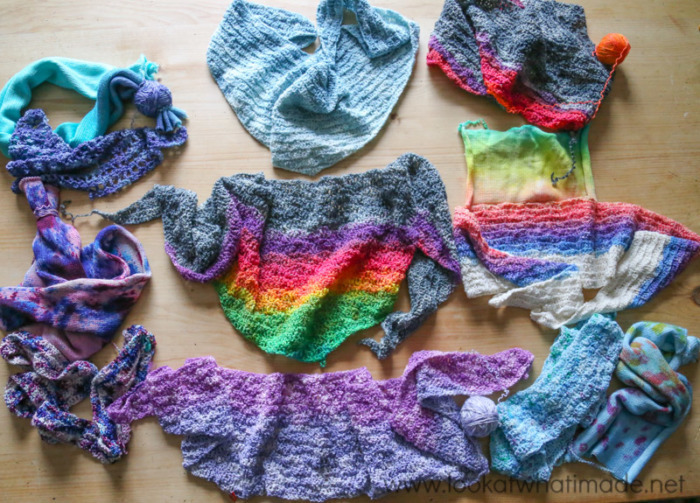 … and the growing shawlettes. One of the ladies on the retreat (Clare) stayed up until silly o’clock to finish her shawlette, and I love how it turned out. You can see more photos of Clare’s shawlette HERE on Instagram. You can also see more photos of the retreat HERE on Instagram. 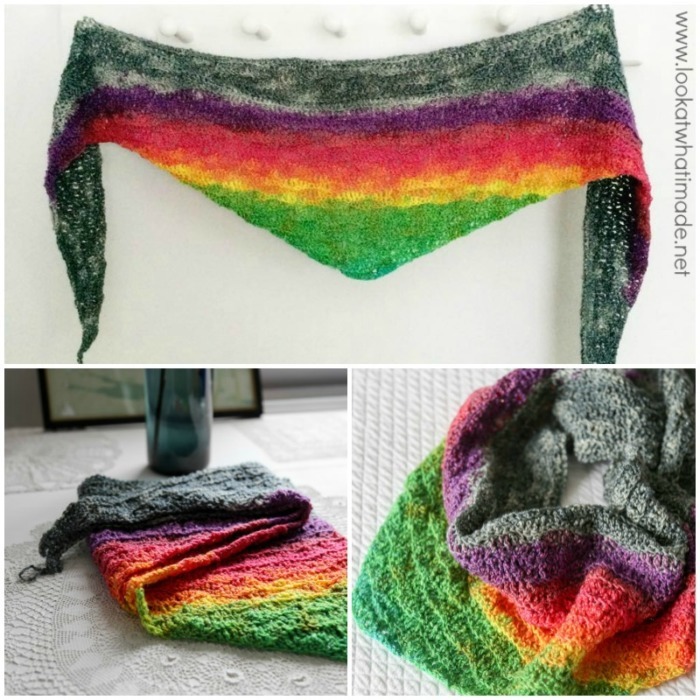 I will be sharing the pattern for the Lazy Waves Shawlette next week, so if you would like to make one, rummage through your stash for a nice sock weight yarn. You will need between 300 and 400 meters, depending on how loosely you crochet. 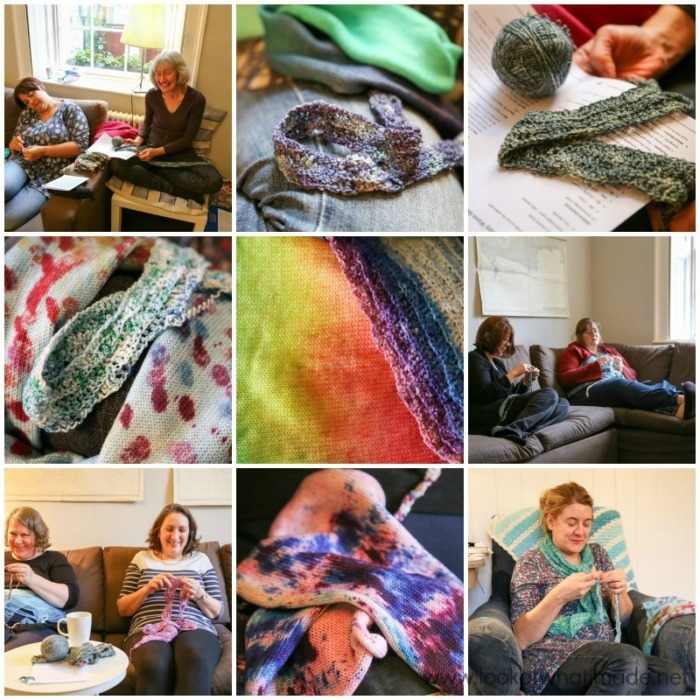 I cannot recommend the yarn retreat enough. It was such a balm for my soul and I will definitely be attending one again. I have come away from it refreshed and inspired. Let the new patterns roll! 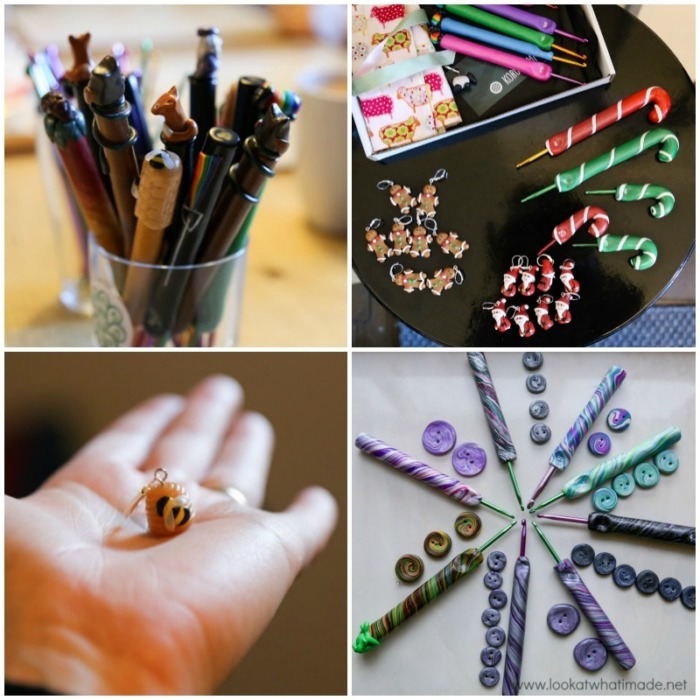 Have you ever been to a craft retreat/weekend? If you have, what did you like most and would you do it again? Thank you for sharing all the pictures. The pictures feel like it was a wonderful time. I love your spotted snow leopard yarn – well, all of them, really. Hi Amelia. Thank you. How have you been? I am hoping to make it to the end Feb. session when you will be there…this weekend sounds so fantastic! I’ve never been outside of US except for Niagara Falls when I was a child and a brief tour bus trip to Tijuana from San Diego with my Mom a few years ago. And my kids – the BEST kids in the world, by the way, are all so enthused about my going – all have pledged to help me get there one way or another! They are all grown, of course, with families of their own. And though we live on opposite Coasts here, they are always in close touch with me. I will be there – God willing and the planes are still flying at that time…will do Passport application this week to make sure that’s taken care of, too! I even have a dear friend who wants to go with me…and she’s excited as I am about this trip! The highlight – for me – will be meeting you! We’ve emailed back and forth a couple of times back during the Sophie CAL…and you remain my favorite blogger of all time. Your color sense, your designs and your tutorials are THE BEST! Thank you – sincerely – for all you do for all of us. Thank you for telling us about this…else I’d never have known that this Retreat even existed! 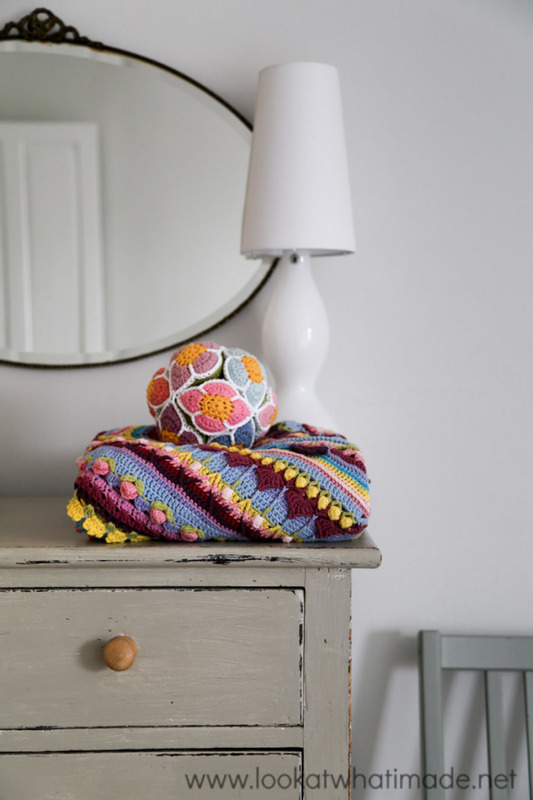 It looks so fantastic – and the yarns there look amazing! 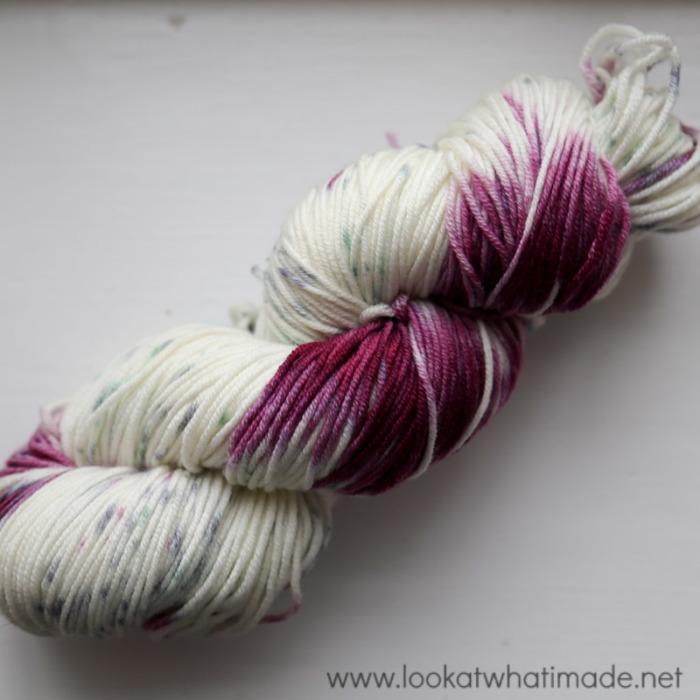 Though I’ve never been tempted to try dyeing my own yarn, I am now excited about learning to do that as well. Thank you again, Dedri….I so look forward to meeting you next February! There are several Fiber weekend retreats that I go to. Seeing old Fiber friends and making new ones is at the top of my favourite things about them, as well as learning new skills. It is a miracle that you got some sleep in a retreat like this. I would be on such a high, no sleep. How awesome!!!!!! Hehe. I did stay up until quite late! And I thought I was the only one who crocheted cross-legged on a chair! 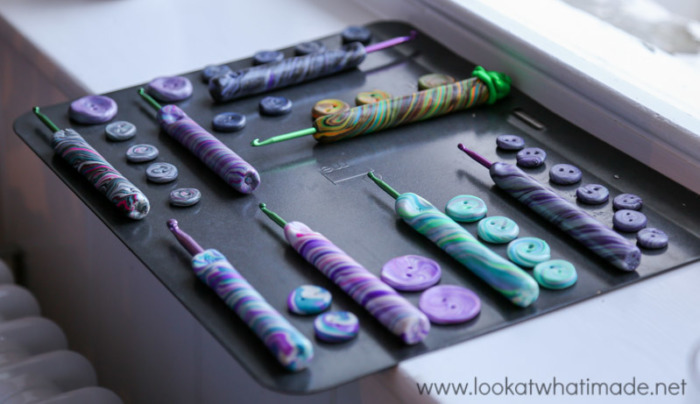 Baked goodies of cakes and hooks. A treasure hunt. 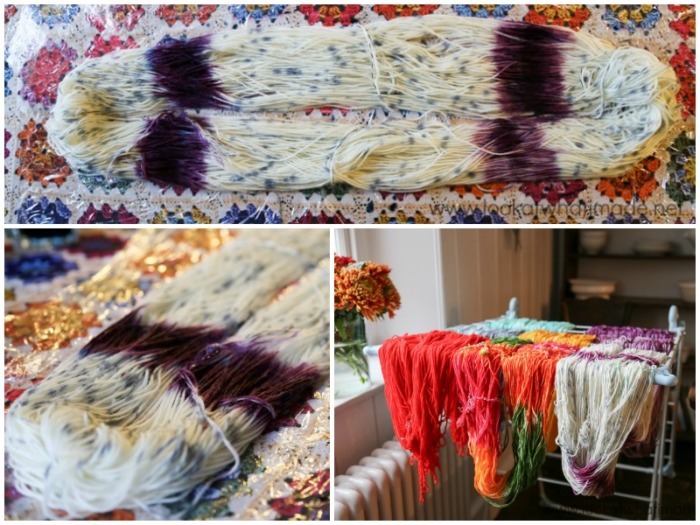 Dyeing yarn. Hooking what you dyed. That looks like my kind of retreat. I need to start looking for one in my area! It was as great as it sounds :) I can highly recommend it! This sounds like my kind of retreat! 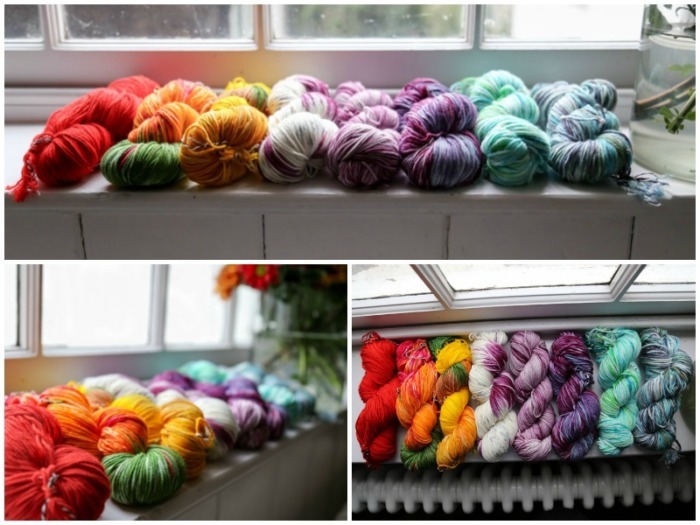 I love the dying of the yarn, and would love to try it. OK, everything you mention sounds delightful. If there was anything lacking in your writing, your photos always make up for it. 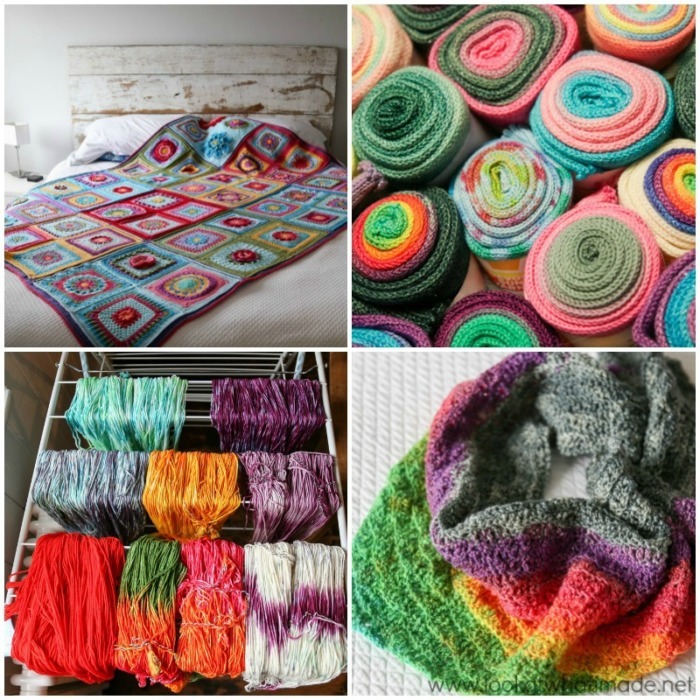 Thanks for everything you do for us yarn geeks! Thank you, KimmieZ :) So many photos! And there were about twice as many I didn’t use.